The combination of high bandwidth and low-cost hard drives has created a small revolution in online storage. 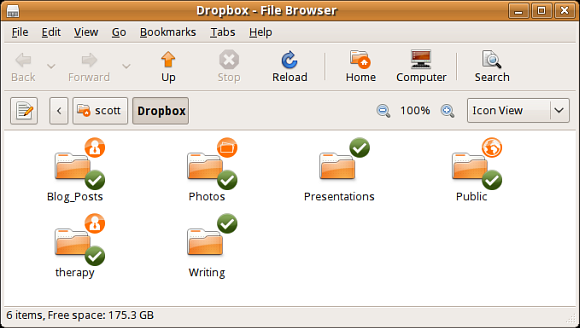 Web-based storage like DropBox, Mozy, Data Deposit Box, and Amazon S3 offer individual computer users and firms of various sizes a fast, convenient, and flexible way to store their data. But before you or your company jump in credit card first, you should consider the following five factors before you choose an online storage solution. For the home or small business user, the amount of data that many online file storage services allows them to back up for free – about 2 GB – is usually enough. If you need more, most services charge about $10 (USD) per month for 50 GB. To be cost effective for a company, the price of online storage must be lower than the cost of on-site tape or DVD backups or a dedicated backup server. Most services charge by the gigabyte. You can expect to pay between $0.15 (USD) and $0.50 (USD) per gigabyte per month. It’s not pleasant when you can’t back up your data or get to your stored data. Whether you’re an individual or a company, uptime is crucial. For example, in 2008 Amazon’s S3 storage service went down for over six hours and the firms who used the service were dead in the water. Check the quality of the service agreement for the online storage providers that you’re investigating. Make sure that they offer an uptime guarantee. While you can’t expect five nines of uptime (99.999% availability), it’s not unreasonable to expect 99.9% or even 99.99% availability. Speed and convenience are one thing. Security is something entirely different. You don’t want someone looking at your files, do you? All data is moved between your computers and the your service of choice using a connection encrypted with TLS (Transport Layer Security, a way of encrypting data flowing over the Internet). Your data should be secured using high-grade encryption. Some firms offer military-level encryption using ciphers like Blowfish and AES. Moving your data between your computers and an online storage service should be easy. Just about every online storage service enables you to log into a website to upload, download, and manage files. Usually, there are limits to what the web interface can do. The service should provide a client software which integrates with your desktop or your operating system’s file manager. The client software lets you to literally drag and drop files from your computer to your online storage space. For firms that need to store or host large amounts of data, the service should offer a fast and efficient way to upload and download files in bulk. An API can also be very useful. An API enables a firm to write its own applications that interact with the service in ways that a desktop client doesn’t. At some point, you’ll run into a problem with an online storage service. Getting that problem resolved quickly can be crucial to your business or just your sanity. That’s where solid support comes in. Find out how the online storage service offers support. Is it only documentation, forums, and knowledge base articles? Is it by email? Or does the service offer live instant messaging or even a toll-free support telephone number? If online storage is mission critical, then you need a response quickly – usually within an hour or two. For that, you need to talk to a human being over the phone. If you can wait a few hours, or even a day, then posting to a forum or sending an email is probably more than sufficient. Don’t get too stressed out trying to find the right online storage service. Just take a deep breath, decide what it is you need to look for and what questions you need to ask. The rest is simple. What’s important to you when looking for online storage? Share your opinion by leaving a comment. Scott Nesbitt is a long-time technical writer who’s written more documentation for developers and system administrators than he cares to admit. In what little spare time he has, Scott also writes for a variety of print and online publications. It’s important to note that Mozy is online backup, not online storage. The difference is that Mozy will backup files that are saved on your computer – they keep a copy of the file. You cannot save a file to Mozy directly, or copy a file to Mozy and delete it off your computer, without having it be deleted (after 30 days) from your Mozy backup.